Long before I moved to St. Louis, I had been introduced to a legend…. 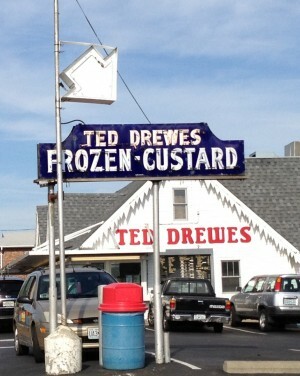 Ted Drewes frozen custard. I hadn’t really eaten much frozen custard before having instead been brought up on snowcones, ice cream and sherbet. But frozen custard is a major draw around St. Louis with locals lining up to get the perfect summer treat. Frozen custard has more butterfat and egg yolk and less air in it than ice cream. 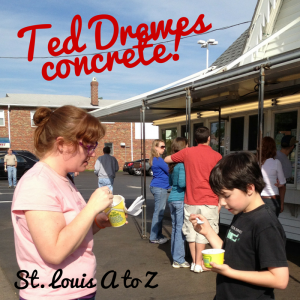 And while I’m not sure if that is the reason Ted Drewes calls their custard combinations concrete, I have to admit I enjoyed telling my nephew we had to go get concrete knowing he was tired and ready for a snack. The fact that he didn’t know what I meant but was willing to go along without too much complaining meant we REALLY enjoyed our concrete. There are two Ted Drewes locations in town — which explains the long lines a bit since Drewes says they like to maintain strict quality control and are unwilling to expand further. On the other hand, they do package product for sales in grocery stores, at the Cardinals Stadium, etc. but I have to admit, I really prefer it at the shops so I can get a unique combination of fruits, candies, nuts or whatever put into it. I should also mention that Ted Drewes is known for Christmas trees too! In fact, the company’s website says that Ted goes to Nova Scotia to pick out the trees that will be sold on his family lot! With such a vibrant Italian community and The Hill neighborhood that offers lots of Italian restaurants, groceries, etc., there are LOTS of great foods in St. Louis! 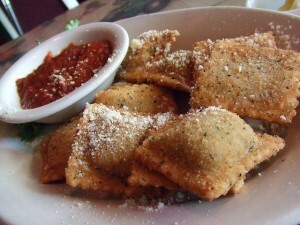 Sure, we have already talked through pizza before, but toasted ravioli …. well it seems toasted ravs as an appetizer got their start in St. Louis! 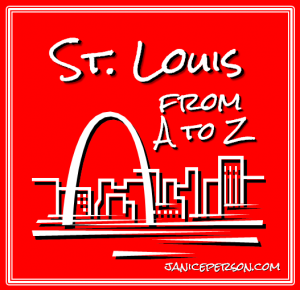 With that bit of trivia, you can expect that lots of places in St. Louis have them on the menu and you would be right! More importantly, you can find good toasted ravs in lots of restaurants! So come on and get some!